Chelsea have reportedly declined the prospect of signing midfielder Isco from Real Madrid amid the additional fees demanded from his representative. The Spain international has struggled for gametime at the Bernabeu since Santiago Solari became the manager and has failed to make a single league start. Amidst this, he has been touted for a potential club-record switch to Chelsea but according to The Sun, that may no longer happen with the Blues deciding to cool their interest. 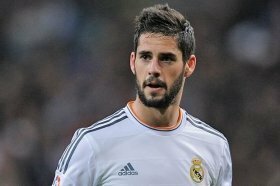 The west London side were supposedly prepared to pay a £75m sum for Isco with an additional £25m as signing-on fees for the midfielder and his agent. However, the player's representative is understood to have demanded additional fees for the transfer amid the ongoing link with Paris Saint-Germain and this has pulled the plug on the proposed move. Chelsea boss Maurizio Sarri is understood to be keen on signing a new attack-minded player during the winter period in order to reduce the scoring burden on Eden Hazard.